This week is Great British Beef Week so why not pop in to Barrons of Beef to see all the appetising dishes they have to offer and support your local butchers. Barrons of Beef have been supplying good quality meat, especially beef, for over 100 years, so they really know the importance and knowledge of eating tasty beef. 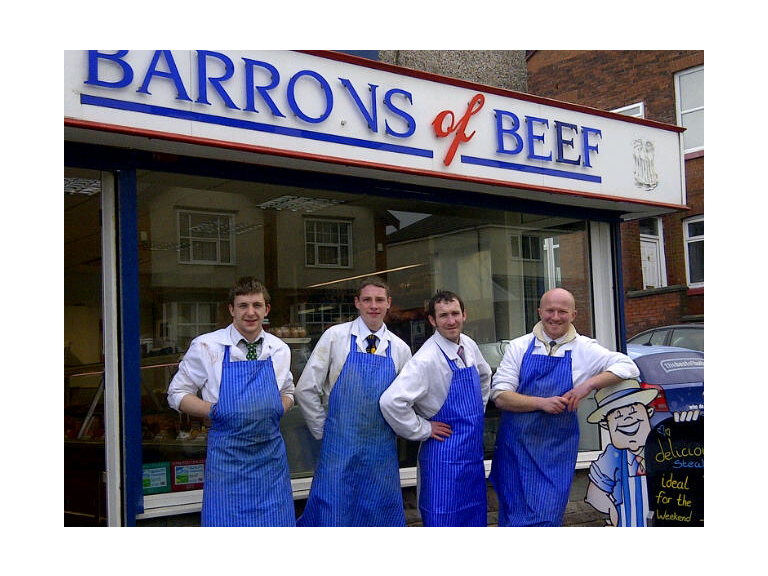 Since a butchers shop first opened on the site of the current shop over 100 years ago, only 4 people have owned Barrons of Beef. Peter Barron bought the shop in 1978, although he has now handed the reins to his sons Phillip and Jonathon. They continue the tradition of amazing quality, British Beef, using their traditional techniques. The major supermarkets hang their beef on the bone for 14 days. But Barrons of Beef do things differently, and hang it on the bone for 21 days, to ensure an even better taste. Beef has lots of nutritional value and is an important meal in a balanced diet. It is a crucial source of protein, iron, zinc and b vitamins. It is also a very versatile meat. It can be used in roast dinners, on sandwiches and on BBQ’s. Barrons of Beef will be happy to tell you how to use their beef to cook up a delicious recipe. And, of course, Barrons of Beefs' beef products are 100% beef, contrary to recent news stories hitting major supermarkets. Great British Beef Week takes place around St George’s Day and the anniversary of the Royal Wedding, linking it even more to the UK and all that is great about it.